Art is one form of stress reliever that most people (especially young girls) pursue. It’s something that you need to learn and practice. Good thing that Works of Heart, one of the well-known youth-led design company + cause-oriented business + movement launched a series of half-day Art workshops! I’m a personal fan of this organization mainly because of their great designs with a cause. (especially their Inspiration & Type works). Drawing Board by Works of Heart is a series of Art workshops that aims to inspire and cultivate the inner passion within the hearts of people. Their current topics are (1) Branding + Visual Identity, (2) Lettering + Typography, (3) Basic Adobe Illustrator, (4) Photography, and (5) Design Principles. The whole WOH team structured it in a casual, yet very informative way that will help the students grasp the concept, experience, and practice it easily. They are conducting this in different locations. Their first series was done in Katipunan, and the second one, in Makati. Hopefully, they can also do a series in Alabang for those who are living in the South. So, watch out for their next series via their facebook account. The moment I’ve heard that they will be conducting the art workshops in Makati, I immediately signed up for Lettering + Typography. Fortunately, they also gave me the opportunity to attend their 2 other workshops (Adobe Ilustrator + Photography) for free! Thanks Works of Heart! 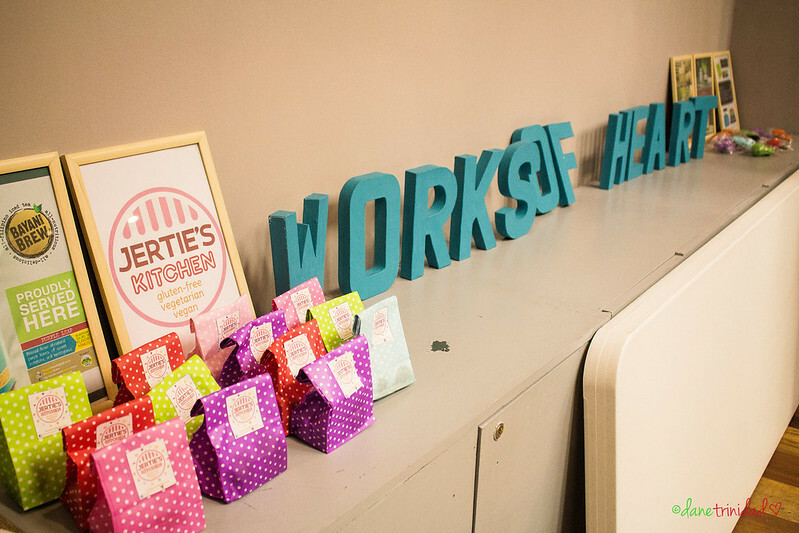 Works of Heart setting with Jertie’s yummy snacks- so cute! 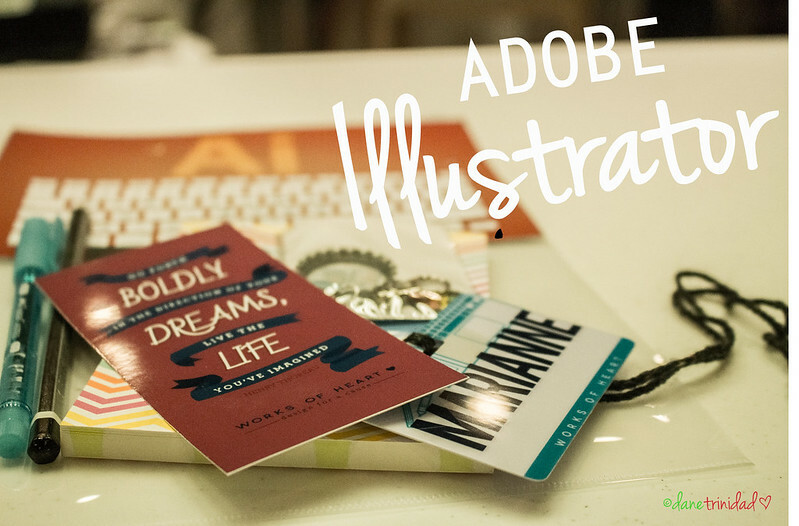 Now, I’ll be sharing with you my learnings about the first art workshop I’ve attended, which is Adobe Illustrator. I have basic knowhow on how to use this application and been using it mainly for the creative titles for my blog post. I also like it better than Photoshop since it produces a vector which is sharper . Our 2 instructors for the session are Joreen Navarro (aka Jors) , and Jeki Ona (aka Jeki). 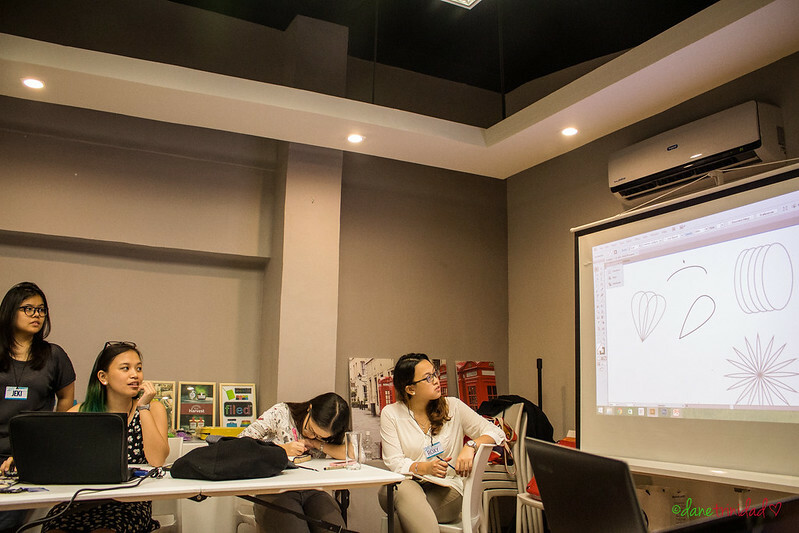 Both of them have very youthful and fun aura – plus you can really feel their passion & expertise about Adobe Illustrator and art when they speak. The class started with a short introduction of all attendees, then immediately proceeded to the discussion. Jors in action, teaching shapes. 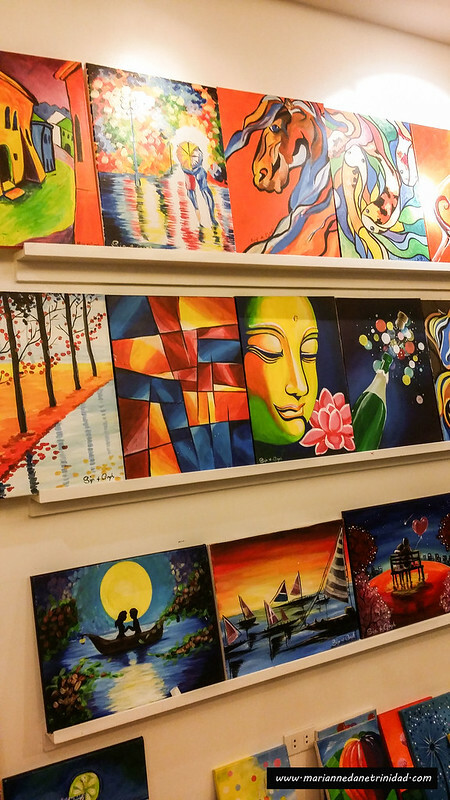 Sip and Gogh Experience- Bring out the Artist in You! 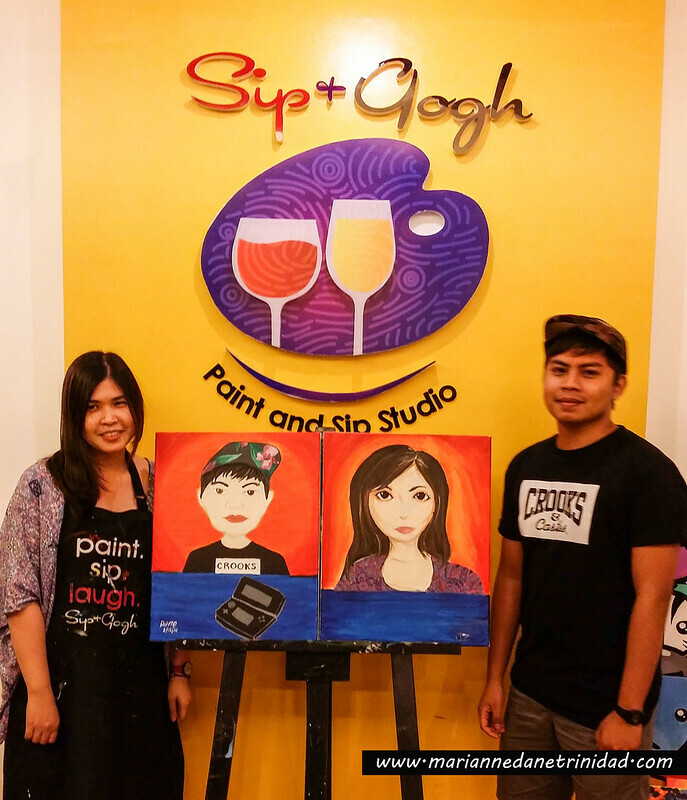 For our 2nd Valentine’s Day together, Jon and I decided to do something different, and that’s why we tried Sip and Gogh’s Date2Create activity last February 15, 2014,8pm. I found about this cool place upon seeing some of the pictures that my colleague has in Facebook. Our paintings! It looks good right?? ?